We’ve introduced a completely new UI design! It looks gorgeous, but looks aren’t everything (so we’ve been told…). We’ve also removed the ‘Project’ tab and created a universal menu to make the navigation process a more streamlined experience. We’ve also added Mac native menus for all you Apple HitFilmers, and our Windows users have had native behaviors added! Threaded Rendering will massively improve your experience within HitFilm. Whether you’re working on a VFX heavy project or just using a small laptop for video editing, the interface is no longer tied to your video. In practice this means a significantly smoother and faster production workflow, allowing you to carry on with your work without waiting for HitFilm to catch up! 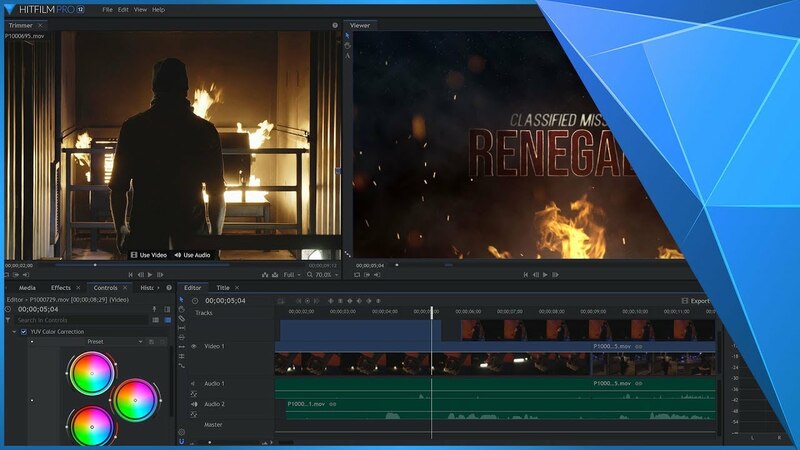 Windows GPU decoding has been ramped up considerably, allowing Intel and Nvidia users to see huge improvements in the way HitFilm handles video. With the addition of professional titling tools, we’re giving you far more control over your text than ever before! After a number of requests, we’ve put instanced titles directly in the editor, which can be edited without having to mess around in the compositor. There you have it, a brief overview of HitFilm 12, and don’t forget you can check out the full update lists for Express and Pro by clicking the links. We know this has been a hugely anticipated launch, so thank you all for your patience and allowing us the time to craft the most substantial update in HitFilm’s history. We always say that these updates are a product of your feedback and suggestions and this is no exception! We hope you enjoy diving into all the new features and thank you once again for your continued support…2019 is shaping up to be a HUGE year for us here at FXhome, and we’re so excited to have you along for the ride! New Release Rollout Our Spring Sale is live!